The president, members of Congress, celebrities and many others have gone on video to praise or criticize Obamacare, the administration’s signature health-care law that will consume huge portions of the American economy and radically change the way health-care decisions are made. Now Adolf Hitler is joining the crowd. He’s blasting the government for its inability to build a website that would allow Americans to quickly sign up for the federal program. 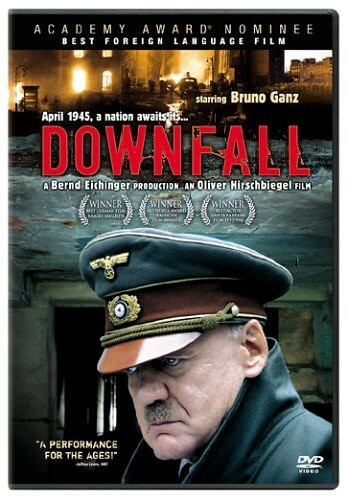 It’s the latest YouTube parody rewriting the subtitles in the Hitler-rant scene from the 2004 German-language movie “Downfall,” which recounts the Nazi dictator’s final days in his Berlin bunker. The newest, however, uploaded as a first effort by contributor Laxbk, may be hard to top. The scene opens with Hitler’s officers complaining about the loss of health care through employers. “Just tell them to sign up with the Obamacare exchange at Healthcare.gov,” Hitler responds. “No one can get logged on. … The website is a joke,” Hitler then sends everyone “who has received an Obamacare waiver letter personally signed by Kathleen Sebelius” out of the room. He erupts. “Obamcare was supposed to be perfect. Premiums are supposed to be down $2,500 a year. It had everything. Free preventative care. No disenrollment for pre-existing conditions, even free birth control and abortifacients … for slutty college coeds,” he shouts. “And now you tell me people can’t sign up? Do you realize how hard we worked with supreme leader Jarrett to make sure this thing worked?” He calls the program “a big scam” on Americans. “It’s just access to insurance, not care. So everyone will be happy, as long as they don’t need actual medical care. When they do get care, they won’t realize that everyone has the same problems getting seen by a doctor.